Bottles from Schnaps. A German vodka. We found them empty, but a local guys from other search group had more luck and dug up a sealed one. It was a real war bottle of schnaps and as every true old bottle it was enchanted and from the moment when guys opened it everything went wrong. Short after they emptied an enchanted bottle they have been seen at a liquor store and in evening they couldn't get out of trench. This is what we call a day went in a gutter. 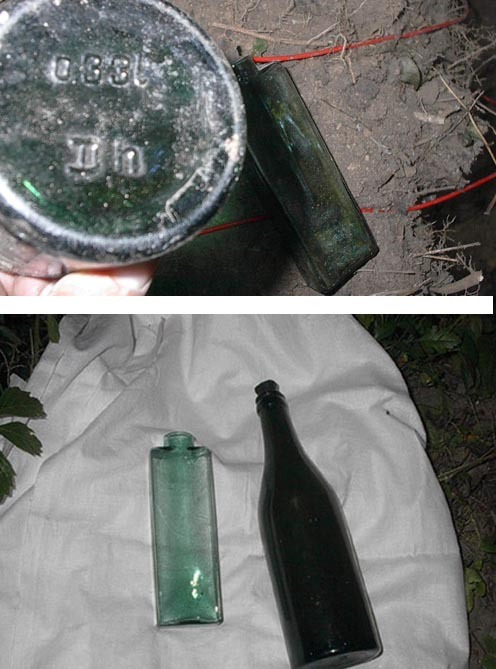 We have found a few sealed bottles of wine, beer and cocktail Molotova. It is an ambulance box with rubber plaster. 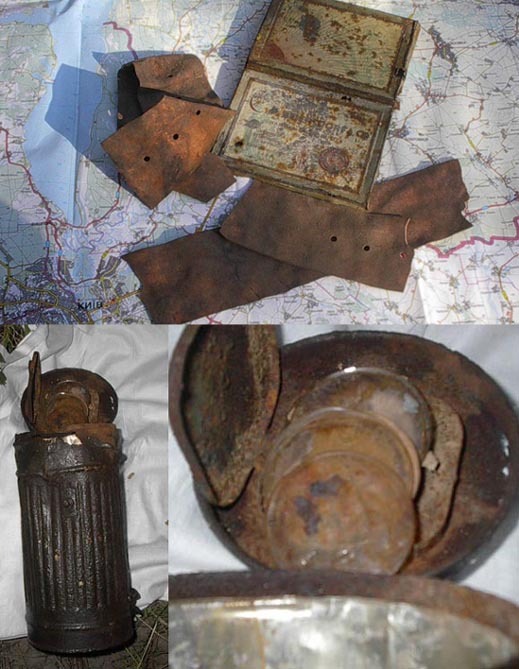 On second photo is a box for a gas mask, some filters left with instructions of how to use them. May be this box was brought here with the blast. 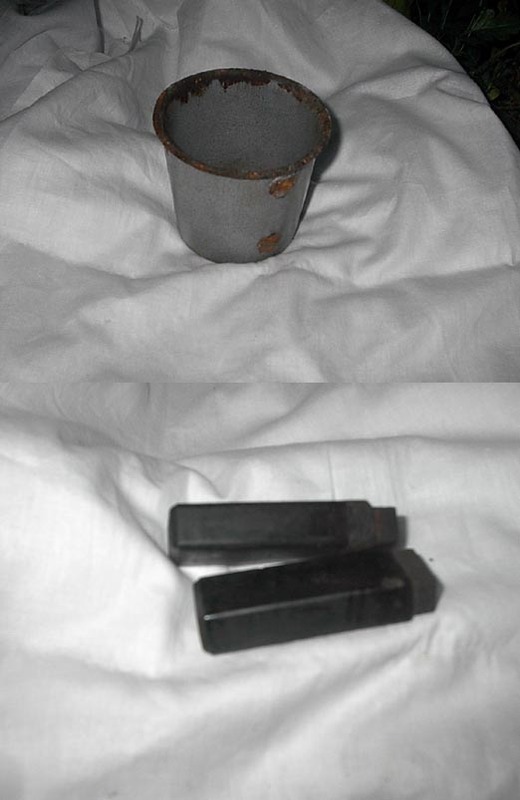 Here is German army cap and small tubes with ointment against louses.